After more than 50 years, the Navitimer’s basic design has changed very little. Timekeeping has long been a crucial element of exploration; here are four timepieces that made historic firsts. Watchmaking is inextricably attached to exploration, travel, and discovery, and some of the more famous explorers are just as well known for the timepieces they carried as they are for their achievements in the field. The watch itself is a map of time, a device created to chart the hours of the day. Knowing that their lives are measured in this currency, men have always sought ways to measure and tell the time, particularly when their safety might depend on it. For centuries, the art of watchmaking has been refined so people could tell time wherever they went and whatever the environment. Between the nineteenth and twentieth centuries, the world was entering a new age. The Industrial Revolution had succeeded in making machines and automata streamline the production of materials, and technology was developing sporadically across all sectors. In the US especially, steam-powered locomotives rolled through great distances, delivering people, products, and cargo. The Railroad Grade watch was Ball’s response to the Great Kipton Train Wreck. But it took detailed schedules and timetables to maintain an efficient railway system. In 1891, two trains—one delivering mail and the other carrying passengers—collided as they made their way to the Kipton Depot in Ohio. The watch of the engineer on the passenger train had stopped for four minutes—leaving him unaware that the other train was already scheduled to arrive. The catastrophe left passengers dead and damaged the facility. As a result, officials of the Lake Shore and Michigan Southern Railways enlisted Webster Clay Ball, a prominent jeweler and watchmaker, to become its chief time inspector. Ball personally checked the accuracy of the trainmen's watches every fortnight. More importantly, he devised a set of standards for pocket watches that were to be used in the railways. 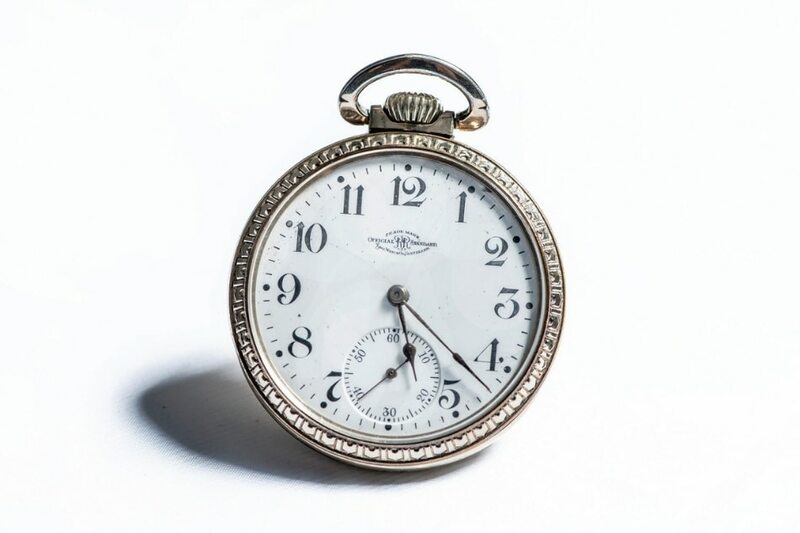 Ball's requirements were as precise as the timepiece he wanted fashioned: never losing or gaining more than 30 seconds per week, an open face (unlike the metal lids of the hunter pocket watch), and a white dial and black Arabic numerals with every minute marked on the dial. At least 15 jewels replaced the metal on the moving parts, metal being more likely to wear out because of friction. Sturdy, accurate, and highly legible, the Railroad Grade that resulted became the standard by which other watchmakers such as Waltham, Hamilton, and Elgin began producing timepieces for their own. Webster Clay Ball devised the set of standards used for railroad pocket watches and personally supervised the trainmen’s timepieces. 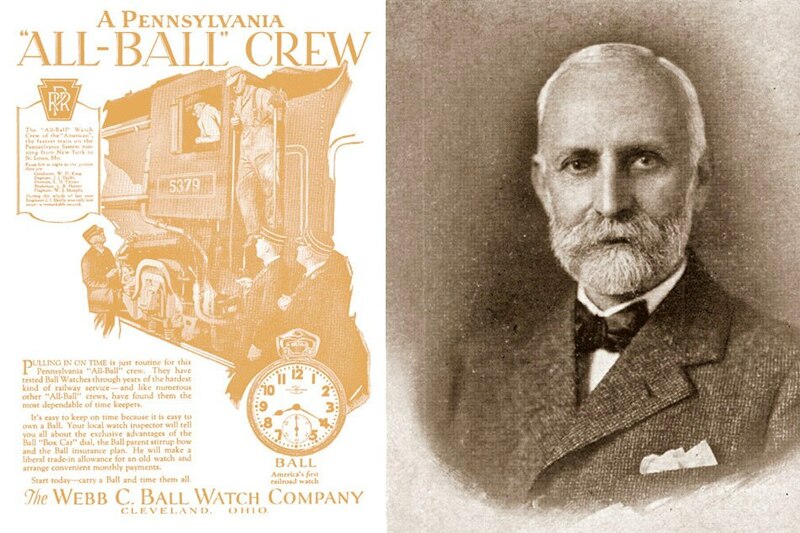 For his remarkable achievement, Ball was recognized by the Horological Institute of America and made an honorary member of the Brotherhood of Locomotive Engineers. To this day, many of the pieces created during his tenure remain functional, which makes the Railroad Grade one of the greatest legacies of American watchmaking. At the time when the world was yet to be mapped fully, Rolex was busy equipping men who braved the unknown. Sir Edmund Hillary wore a Rolex in his expedition to Mount Everest in 1953 and, earlier, Chuck Yeager strapped one on his wrist when he flew the Bell X-1 to break the sound barrier in 1947. The Deepsea is the pioneering product in deep sea timekeeping. 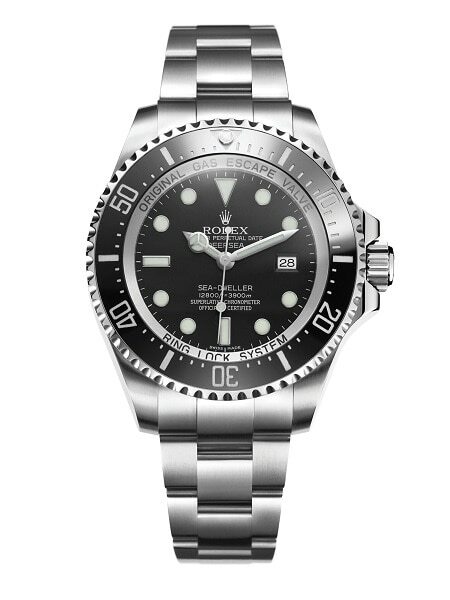 Rolex then decided that the next frontier of exploration was the bottom of the sea. 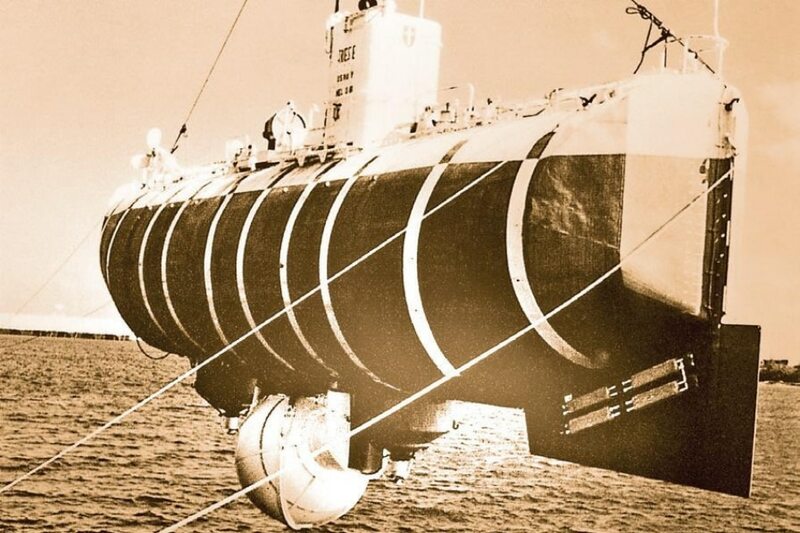 In 1960, the Bathyscaphe Trieste, a submersible designed by the Swiss physicist-explorer Auguste Piccard, undertook an expedition to the Mariana Trench. As the deepest point of the world's oceans, it plunges to more than 10,000 meters. No vessel had ever attempted to explore its depths until the Trieste. The Deepsea can trace its roots back to the first Mariana Trench expedition in 1960. In 1960, with Auguste Piccard's son, Jacques, and Lieutenant Don Walsh of the US Navy, the submersible began its journey with Rolex's new experimental watch, the Deep Sea Special, attached to the hull of the vessel. Rolex seemed well suited to the task; it was the first to launch a truly waterproof watch in 1926 and developed the first diver's watch that could withstand water up to a hundred meters in 1953. The journey to the bottom of the trench took more than four hours, with the Rolex on the exterior of the Trieste subjected to the crushing pressure of eight tons per square inch at those depths. By the time the submersible had resurfaced, Piccard cabled Rolex headquarters with the message: "Happy to announce to you your watch as precise at 11,000 meters as on surface. Best regards Jacques Piccard." Thus, the Trieste was not alone in setting a new world record. 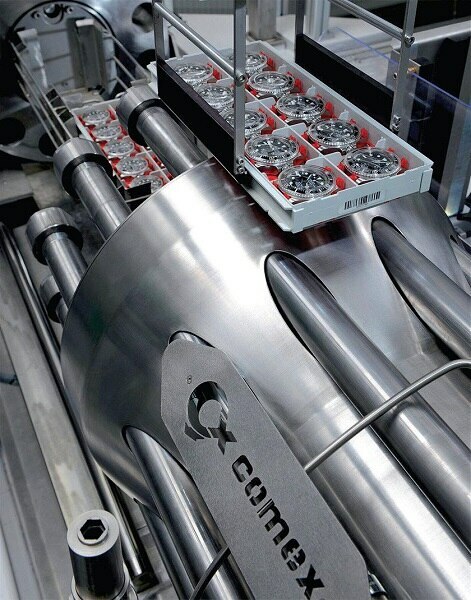 International deep diving and engineering company COMEX has made extensive use of Rolex timepieces in their operations. Rolex took what they learned from the expedition and used it to develop more commercial versions of the experimental watch. In 1967, it launched the Sea-Dweller, a watch that was waterproof up to depths of 600 meters. (It was famously used by the deep diving and engineering company COMEX.) In 1998, Rolex released the Deepsea, its most waterproof commercial watch yet, capable of being 3,900 meters under water. When director James Cameron replicated the Mariana Trench expedition in 2012, Rolex provided him with a re-engineered version of the watch that went down with Piccard and Walsh 52 years earlier. The experimental Deepsea Challenge was waterproof to depths of 12,000 meters, making it the culmination of the brand's long association with underwater exploration. Unlike many famous watches, the origins of the Breitling Navitimer are unknown. No one knows exactly why or when the watch was made. Enthusiasts say it may have been created some 60 or so years ago. With much of the company's early records lost, the history behind the now-classic timepiece remains a mystery. Shortly after its release, the Navitimer was named the official watch of the AOPA. In the 1940s, Breitling released the Chronomat, the first chronograph with a slide rule, a kind of analog computer that used the bezels and dial to perform calculations. By turning the bezel, the slide rule could be used to multiply, divide, and compute percentages; it was a feature that was unexpected during its time. The Navitimer followed in the Chronomat's footsteps. The advanced design was intended for pilots, with the slide rule function especially handy for conversions and ratios given the technology then. Popular almost instantly, the Navitimer was adopted by the Aircraft Owners and Pilots Association (AOPA) as their official watch, with the earliest models displaying the organization's logo on the dial. The Cosmonaute variant was used in Project Mercury, NASA’s first manned spaceflight. Breitling would go on to supply the Navitimer to the air forces of Iran, Iraq, Yugoslavia, and Algeria. The timepiece reached its apogee in 1962 when Commander Scott Carpenter was chosen for Project Mercury, NASA's first manned spaceflight. Set to orbit the Earth three times in the Aurora 7 capsule, Carpenter wore the Cosmonaute, a variant of the Navitimer design. 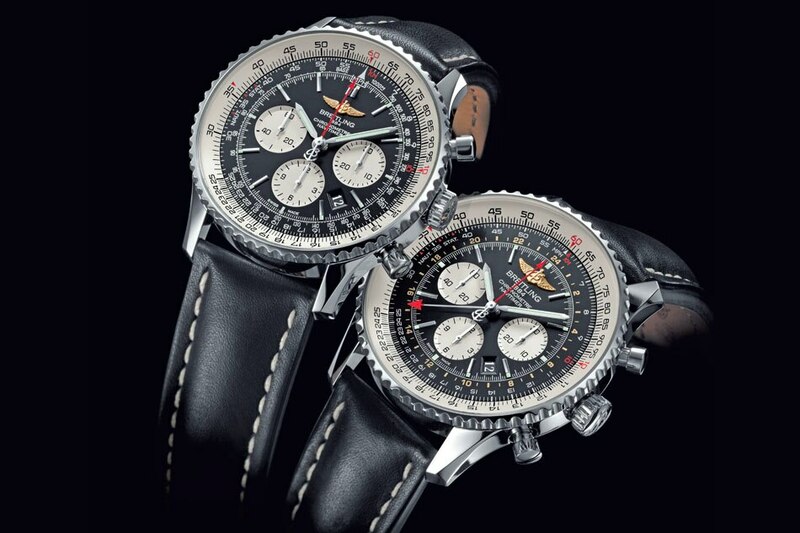 Thus, the Navitimer became the first chronograph in space. 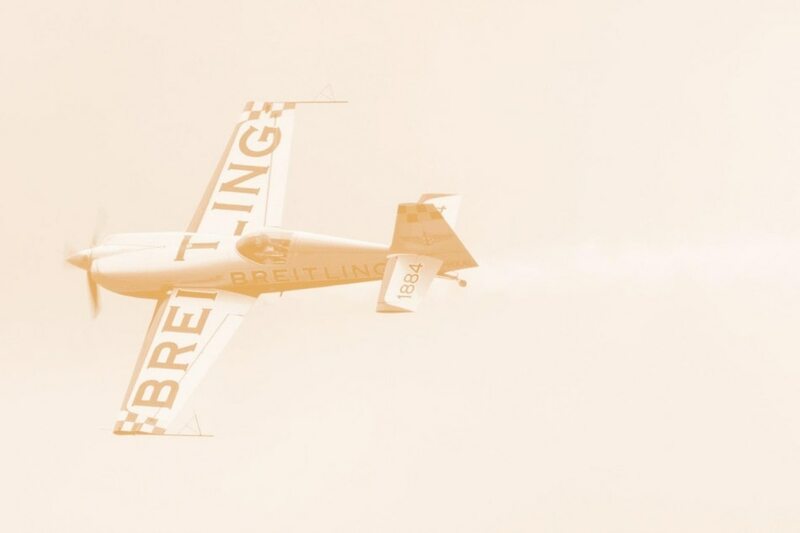 Breitling has since designed other watches for flight, such as the Emergency, which emits a distress signal that can be activated when the wearer is lost or in danger, and the Cockpit B90, which shows a digital and analog display for greater legibility. The Navitimer, however, is one of its most iconic pieces, remaining largely unchanged in appearance for half a century. Where other watches circled the Earth or sank to the bottom of the ocean, the Omega Speedmaster was the first watch to be worn, not in a space capsule, but in the vacuum of outer space. It was first produced in 1957 as a chronograph for race car drivers. The sporty association suited Omega, which was the official timekeeper of the Olympic Games. 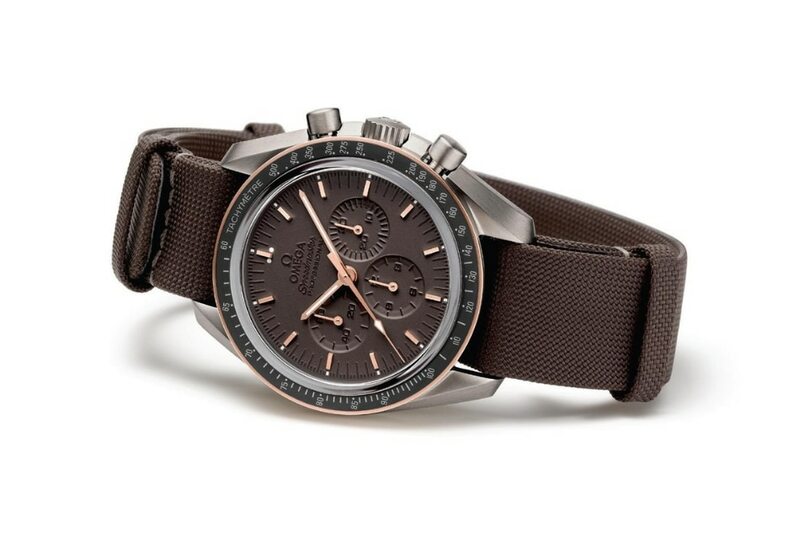 Omega’s 45th Anniversary Limited Edition Speedmaster Professional. But sport turned to space exploration when the Speedmaster won the bid in 1965 to become the official watch on the first US spacewalk following a series of tests that involved magnetic fields, shock resistance, and zero-gravity conditions. Four years later, Buzz Aldrin wore the Speedmaster in Apollo 11 when it made the first trip to the moon. Popularly known as the Moonwatch, the Speedmaster was used widely throughout NASA's space program, but it played an especially critical role during the Apollo 13 mission in 1970. 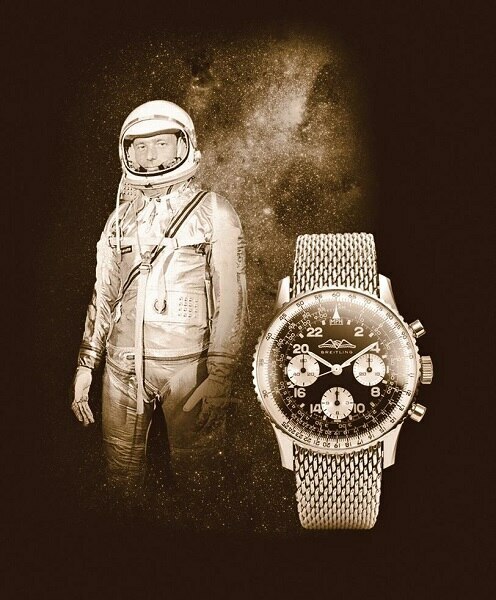 Omega has had a long association with space flight, beginning with the first US space walk in 1905. Apollo 13 was supposed to land on the moon, being the third attempt of NASA to do so. Two days after it launched, an oxygen tank ruptured in the spacecraft, leaving it dead in the black. Not only was it unable to reach its destination, the astronauts had little chance of returning home. With limited supplies and power, the fate of the crew hung in the balance, their situation broadcast on live television until their failing power supplies could no longer support any transmissions. Finally, complex calculations were devised to use the ship's remaining power to bring its course closer to Earth. Jack Swigert, the command module's pilot, relied on his Speedmaster to execute a crucial 14-second mid-course correction. Using the watch to accurately time the burns of the engine, Swigert swung the Apollo 13 and its crew to the direction of the Earth and brought them back home. 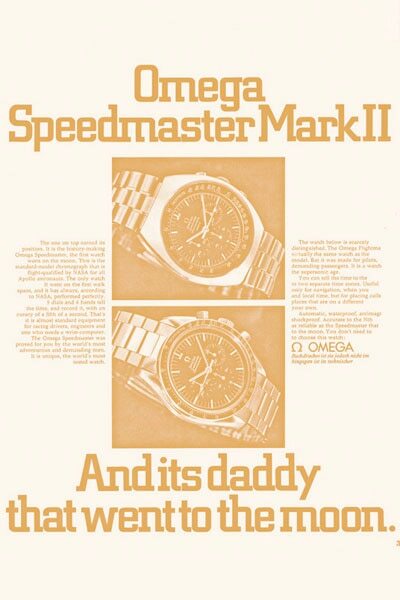 The Speedmaster line would later be known as the Moonwatch. 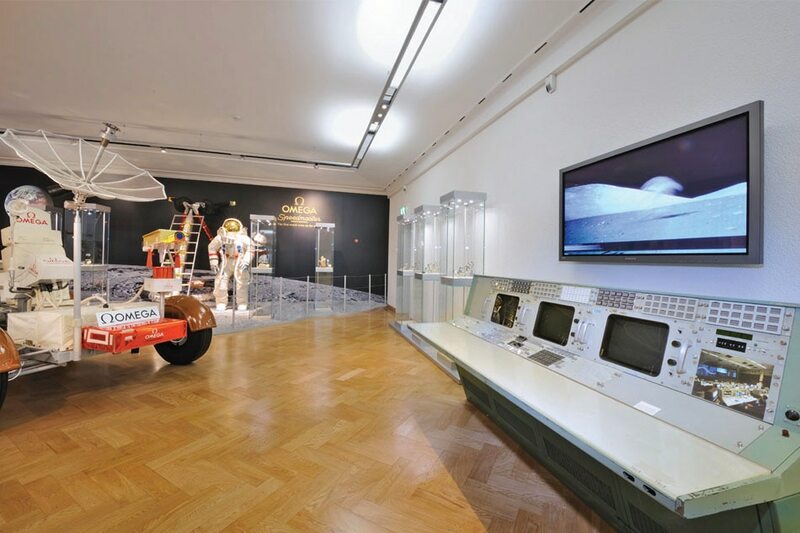 For the part it played in the return flight, Omega was commended by the Apollo 13 astronauts with the Snoopy Award, a recognition NASA bestows to those that contribute to the safety of manned spaceflights. While the Speedmaster would undergo many developments after the spacefaring era, it would always be known as the Moonwatch. Vintage models of it are highly sought after today. This story first appeared in Vault Magazine Issue 17 2014.